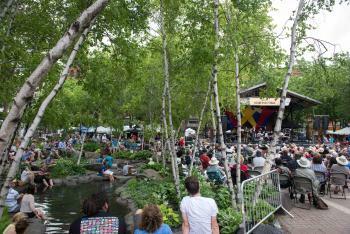 Music in the Parks is an outdoor music series taking place in Saint Paul's beautiful parks during the summer months. All events are free unless otherwise noted. Below you will find the Music and Movies in the Parks shows as well as other musical performances taking place in parks across Saint Paul. Events are weather permitting and subject to change without notice. Click the show names for more information. 2019 Music in the Parks information coming soon. Interested in being a Music in the Parks performer? To book an event at Spring Cafe (Como Lakeside Pavilion) visit the Spring Cafe website.